When you want to grow your blog’s traffic, where do you look first? Facebook? Pinterest? Video? Yes, social media is awesome! It helps you attract an audience in a very broad way. However, the most important element to marketing your blog and gaining pageviews is… email marketing. Be honest with me (and yourself). When was the last time you put your energy into creating a detailed email marketing strategy for your blog? Since you are reading this post, I’m offering KUDOS to you because you are researching email subscribers now. But, do you spend as much time working your email marketing strategy as you do on social media? This makes me wonder… if email marketing is so important, why is it the most neglected tool for blog growth? Obviously, those emails you delete are sent by brands who need to improve their strategy. You are smarter than they are and can do it better! 1) Email takes the relationship you have with your readers to a one-on-one level. Immediately, email is a more intimate form of communicating with your audience than social media because you are not writing a message to the masses as you do on Facebook. Your letter is addresses to ONE reader, personalized with their name if you use a shortcode. When you approach email marketing with relationships as your focus, you create raving lunatic fans. (That’s a GOOD thing.) These are the people who will read your blog, click your links, and share your content with their friends. 2) Email marketing doesn’t require mastery of complicated algorithms. In the online world, social media is constantly in flux. Algorithms change on a daily basis and once you have beat the system, the algorithm changes again. Related: Is Facebook worth the effort? Emailing your readers takes very little understanding of how it works. There are subtle issues to make sure your email is delivered but for most people, you send an email and it is received. Done. 3) Creating an email marketing strategy is cost effective. If you want to be seen on Facebook. you have to pay to play. If you want to grow a successful Pinterest account, you need to spend your valuable hours pinning organically. Email is simple: Write. Send. Done. And the cost is very affordable because the expense grows with you as your email list grows. And if you are working your email list correctly, your income is growing too. Therefore, any expenses you incur s a result of emailing your readers will pay for themselves. 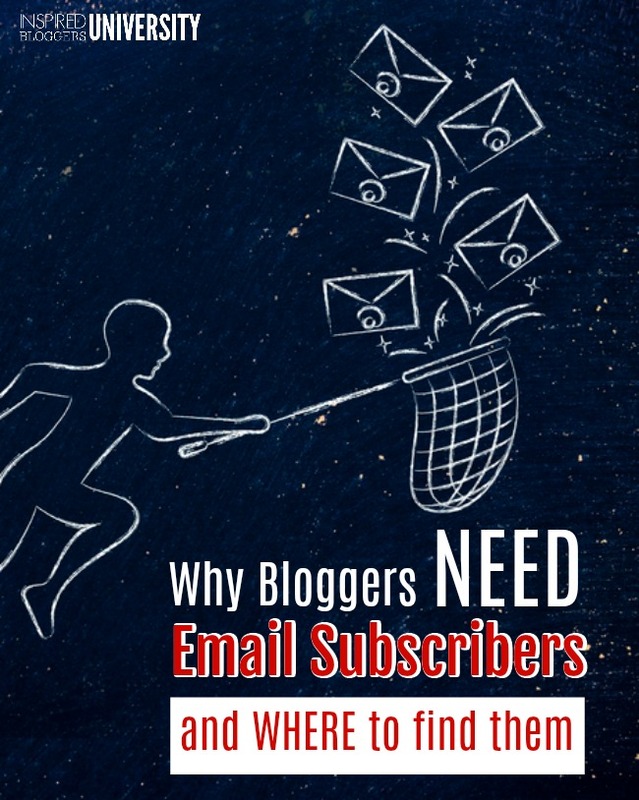 Join Subscriber Surge List Building Challenge and master strategies that will grow your email list fast. It’s FREE! 4) Email is the only communication that will instantly and significantly change your pageviews and profits. Social media has to simmer before it is seen by your audience. Most algorithms wait to see if a small segment of your audience will engage with the content before showing it to other followers. If you need page views, you send an email with links to click. If you need profits, you send an email with a product to sell. This only difficult part in this scenario is that your success depends greatly on the number of subscribers you have on your list. Email subscribers are literally everywhere because almost everyone has an email address. Therefore, almost everyone is a potential subscriber. If you want people to subscribe, you must make it possible for them to find a way to join your list. That means you first have to join an email service provider like ConvertKit or Mailerlite and create the capture forms. Then, install the forms in several locations on each page. Try to place forms where the eye naturally falls: inside the content, in the sidebar, as a slide in form, or within a pop up. Whether your audience is on Facebook, Pinterest, Instagram, LinkedIn… where ever… you can attract them to sign up as email subscribers by creating an opt in form and directing followers to the page where the form is installed. Facebook – Encourage your followers to subscriber by asking them to join your list. Post the link/s to your list at least once a week. Pin the best post (with the most engagement) to the top of your page. Also, place a link to an opt in form in your profile (personal and page). Take advantage of every space and opportunity Facebook gives you to mention your email list. A successful email marketing strategy has less to do with where you find subscribers and more to do with how you invite them to join your list. Pinterest – Actively save the pages where you host email opt in forms. Place these links in a rotation using Tailwind or another schedule service so they are being saved to multiple boards regularly. Twitter – Pin a tweet containing the link to your email opt in to the top of your Twitter profile feed. Also, add the link to the email subscriber form in your profile instead of using the link to your homepage. Where ever you are – Regardless of the social media platform you use, direct followers to subscriber by placing a link to an email opt in within your profile and each time a link is allowed. How often do you reply to readers or send messages to people who are potential readers? Add a note to subscribe in your email signature. Each time you send an email, you will automatically send the invitation to subscribe. Networking with others in real life offers a tremendous benefit but you need something to give people so that they will remember you. Business cards might feel old fashioned but they are still a very useful tool for generating social media followers and email subscribers. More than once, I have handed a business card to someone in line at the grocery store. On the back on my card is an invitation to join my email list. While I cannot track the success, I would assume that at least a few have visited my website. And all I need is one raving lunatic fan to find me. He or she will then help my email list grow. This could easily go on the list of most neglected ways to market your blog. I often hear bloggers complain that guest posting doesn’t work for them. Cough… pardon me… but you might be doing it wrong. If you are posting on someone’s blog, make sure you are talking to the right audience. If no one within that blog’s followers matches your target, you are in the wrong place. Next, create a special offer just for that blog’s readers and link to the email opt in. This makes the readers feel special from the very beginning because you created something just for them. If you have friends who podcast or do live video interviews, get on their shows! Just like guest posting, being a featured guest helps spread awareness. Make sure you create something special just for listeners and encourage them to subscribe. After collecting an email subscriber list with 100,000+ names, I am sharing my growth strategies with you for FREE through a 6-day email training, Subscriber Surge. 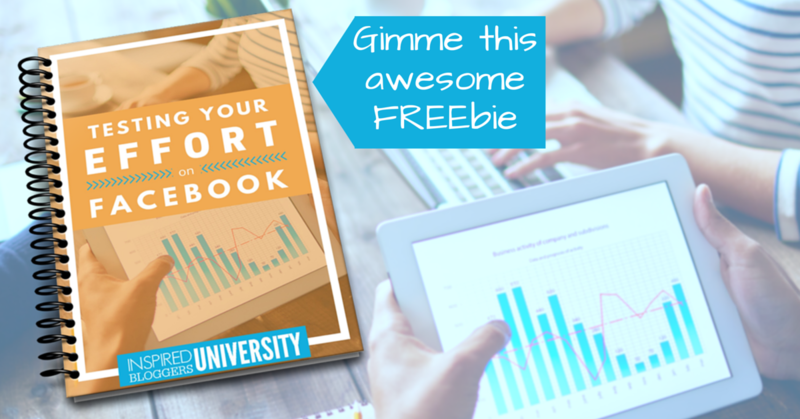 Sign up today and start learning how to grow your email list with purpose. You will see more subscribers and that results in more page views and profits. Guaranteed. 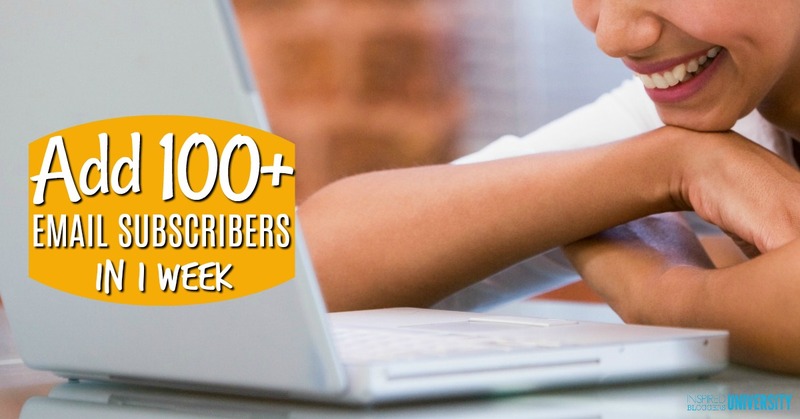 Join the Subscriber Surge List Building Challenge for FREE!